The Letter Game – C | Where do we go now? comment for you… and the cycle will continue. 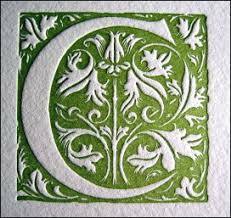 So my letter was “C” – why does this only make me thing of inappropriate things?? Catholicism – I find my religion very ritualistic, and comforting. Granted, I’m not a die hard by any means, but I try, and it grounds me. Of course, it’s on my mind with Christmas coming. I also love Cathedrals. Crafts – of all kinds. They are quite fun. Children, more specifically, other peoples babies. Cozy things, slippers, bath robes, blankets and the like. Crochet – It’s a nice thing to keep your hands busy while watching TV. Christmas – It’s the mostttt wonderful time. of. the. yeeeeaaaarrrr!! Cottages – I always picture myself having on in old age. With an English garden, the kind you see in Sense and Sensibility. Cameras – All kinds, film, polaroid, automatic, digital, manual, I just like taking pictures. Carpentry – If I don’t have arthritis in my old age, I’d very much like to take up this hobby. To make things more fun, here’s a list of C things that I don’t like. Cannibalism – is it really necessary? Cheerleaders – damn symbols of bodies I can’t come close to. Clowns, not cause they are scary, but because they are ugly.